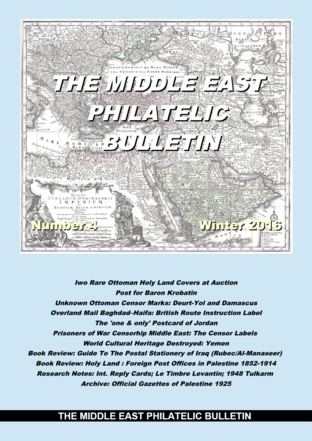 The Middle East Philatelic Bulletin pursues a policy of political and religious impartiality and neutrality. We believe in tolerance and understanding amongst philatelists and collectors. 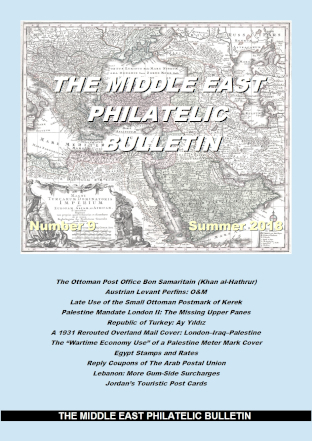 We are open-minded and respect the views and convictions of our readers and contributors. 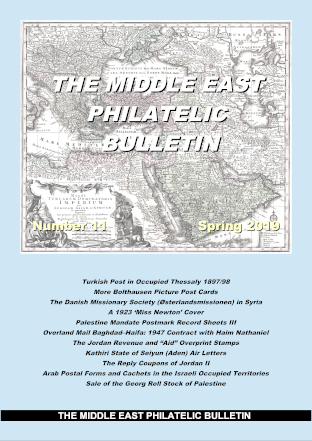 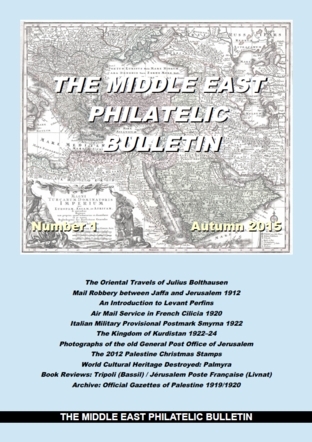 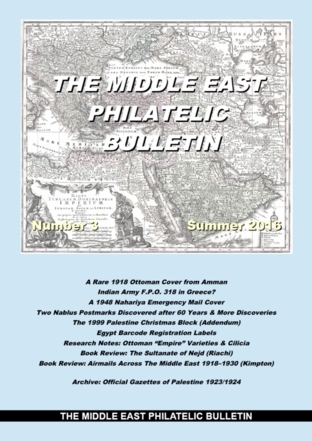 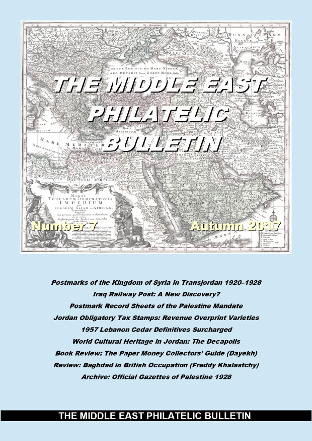 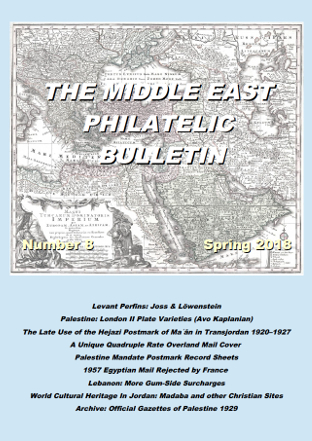 The Middle East Philatelic Bulletin is distributed exclusively as a free PDF-download through this website. 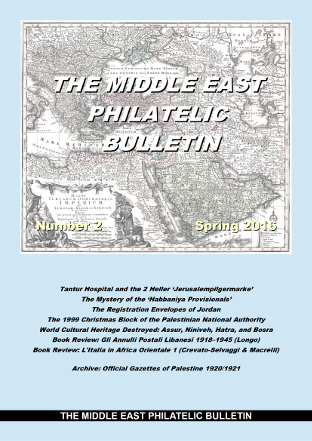 You can register to be notified of developments and future issues by sending me an e-mail. 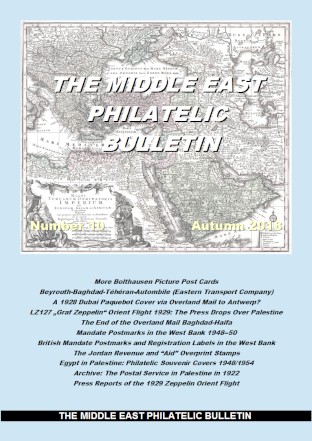 Registration entitles you to place an advert for free.